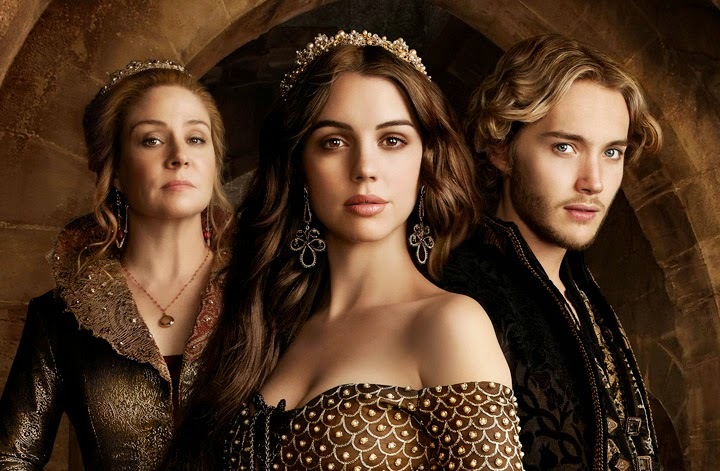 PLAGUE ROCKS THE KINGDOM -- The new King and Queen of France, Francis (Toby Regbo) and Mary (Adelaide Kane) are plummeted into chaos after the Black Plague ravages the land and creeps inside the castle, threatening lives and the stability of their new rule. Francis finds himself on the wrong side of the quarantined gates, with Lola (Anna Popplewell), as they try to make their way back to safety. New and murderous foes are introduced as nobles grasp for power, pressuring Mary -- and Catherine (Megan Follows) -- even as the death count rises. Meanwhile, Kenna (Caitlin Stasey) and Bash (Torrance Coombs) find themselves separated; Kenna's life endangered as she risks all to save their young ward. Greer (Celina Sinden) is forced to watch Leith (Jonathan Keltz) move on with a new love and is shocked to realize he's involved with her fiancé's daughter. Fred Gerber directed the episode written by Laurie McCarthy (#201).